Mad Media produced the “Baja Takeover” campaign for Monster Energy for the 2012 SCORE Baja 1000. The campaign was designed to activate their multi-athlete effort at the notorious off-road race. The print component of the campaign included signature cards, spectator maps, and posters. 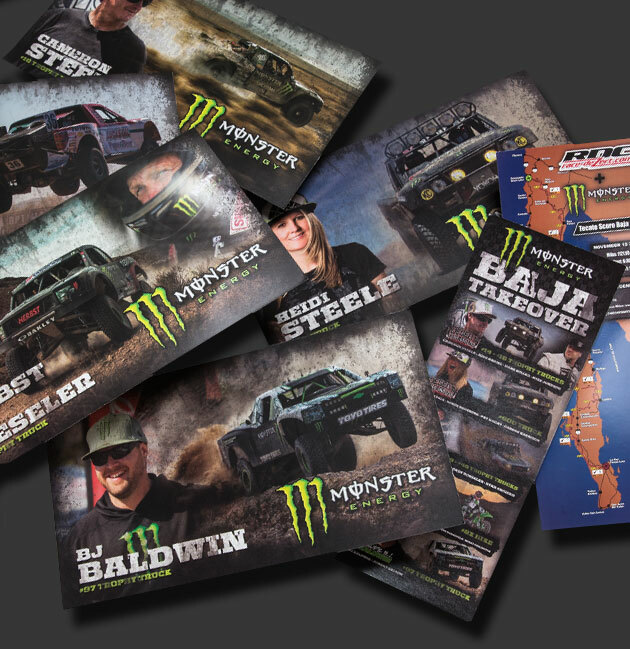 The campaign was a massive success – netting Monster Energy and their athletes the majority of focus during the Baja 1000, ending with Monster athlete “Ballistic” BJ Baldwin winning the race overall.